Ahrefs is an SEO software that allows business owners to do keyword research, competitor analysis, backlink checking, and more. Data collected from the platform are generally used to help improve link building and content marketing strategies. We compiled Ahrefs reviews from our website and from around the web and determined that it has generally positive ratings. We also shared its available pricing options. Want to know the top SEO services software for small business? Read our Ahrefs alternatives guide. Users who gave Ahrefs a positive review like its intuitive user interface. They also said that the data generated from the site is accurate and useful for SEO analysis. Users particularly like the features for backlink audits, competitor analysis, as well as keyword searches and tracking. There were only a few negative reviews online, and users who gave Ahrefs negative feedback said that it is on the higher end of the pricing spectrum. Some also mentioned that having more options to export data would be a great feature to have. Ahrefs offers four paid plans: Lite ($99/month), Standard ($179/month), Advanced ($399/month), and Agency ($999/month). The main difference between the packages is the number of campaigns you can run, keywords you can track, and reports you can generate. Discounted rates are available for annual subscribers. Check out the list below of some of Ahrefs’ features. What is SEO? – SEO Basics & Terms You Should Know — SEO (Search Engine Optimization) is any activity aimed at improving your website’s visibility in the search engines. In this article, we’ll give you more details on what SEO is and how it works. Top 25 SEO Strategies, Tips and Tricks From the Pros — We asked experts to share with us their top SEO tips and tricks to improve a business’ website’s online visibility. Check out our list of the top 25 SEO strategies from the pros. Does Ahrefs offer a free trial? No. However, Ahrefs offers a seven-day trial for the Lite and Standard packages for just $7. You will be able to enjoy full access to the features available in those plans. The trial subscription fee is non-refundable. If you fail to cancel within the seven days, you will automatically be charged with the monthly subscription fee. Yes. Upgrades take effect immediately, while downgrades and cancellations will be effective at the end of the billing period. This video provides an overview on how you can check and track keywords using Ahrefs. Not sure if Ahrefs is the right fit for you? 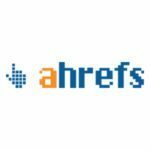 Read our reviews of all top SEO Services software or check out one of these three Ahrefs alternatives. It’s great for showing ROI of SEO campaigns as well as doing competitive research and discovery on other websites. The social media share tracking is not as robust as Buzzsumo and misses a lot of stuff. But it’s still nice to have the feature in its current state. How much it would be amazing for me. It is easy to use and has many features. It allows me to track my keywords, the crawler has a precise range and a backlinks analysis. Your blog is amazing along with its support. The only discontent I have with this software is that its price can be somewhat expensive for beginners and for those who have a limited budget. Ahrefs is my main tool, it allows me to do almost anything quickly and accurately, as well as its useful features that help me increase my presence online. I consider it a powerful tool and I always recommend it. It is the best backlink analyzer tool on the market. You can track your backlik profile, check our your competitors, and also get email links when you or your competitor gets links. Also when rankings drop or improve you can get email updates too. A must have for for every SEO expert. Ahrefs provides detailed information about the website you are investigating and leaves no stones untouched. The organic ranking chart is the best feature and gives you an overview of your search performance. It’s not cheap and you really need to learn it to get real value, but once you do, you’ll love it. There is little of what I do not like. A content analysis feature would be great. Too many functions grouped in a single control panel make it extremely difficult to navigate the interface. The user experience must be optimized and optimized even more. They make it really easy to track “soft ROI” of search engine campaigns and place your efforts in perspective against your clients’ competitors. The content research isn’t great… I find that Buzzsumo is better for uncovering shareable content within niches. You can’t see keywords that you rank for under the 25 position if you’re on the 100/m plan.